2 What Are Markov State Models? 3 How Do MSMs Enable Novel Insight? 4 How Can MSMs Be Used for Improved Drug Design? 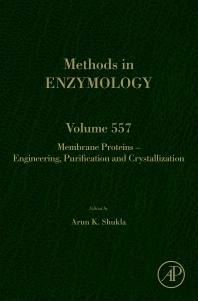 Membrane Proteins – Engineering, Purification and Crystallization, a volume of Methods In Enzymology, encompasses chapters from the leading experts in the area of membrane protein biology. The chapters provide a brief overview of the topics covered and also outline step-by-step protocol for the interested audience. Illustrations and case example images are included wherever appropriate to help the readers understand the schematics and general experimental outlines. These two volumes of Methods In Enzymology should be very useful to any researcher working in the area of structure and function of membrane proteins. Graduate students, post-doctoral fellows and faculty members pursuing different aspects of membrane protein biology should find these two volumes useful and complete collection of practical information.